Was Jesus Spared from Death, as Muslims Claim? As with most Muslim assertions, this is another verse which they have to wrench out of its context to support a claim which has neither historical nor doctrinal Biblical support. Neither does it find any support in secular history. But Hebrews is one of the worst of the Books of the Bible to choose for making this claim, as it is chockfull of information that belies the allegation that Jesus never died on the cross. This is one of the most easily disproven of Islam's errors. Any reader of the Book of Hebrews will find that it teaches at some length on the High Priesthood of the Messiah, Jesus. Those familiar with the Torah know that it was YHWH Who instructed Moses to ordain a Levitical priesthood, beginning with Aaron as the first High Priest. 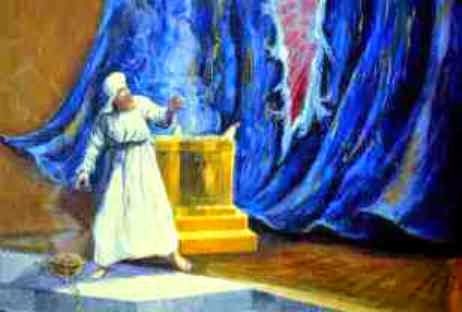 The High Priest was the only Israelite who could go into God's Holy of holies inside the Jewish Temple to make a sacrifice on behalf of the Jews and all nations. And this, just once a year on the Day of Atonement. 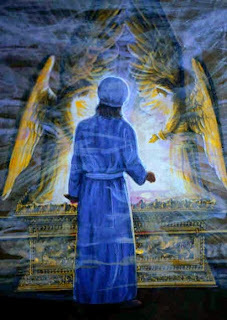 17 “Don’t think that I have come to abolish the Torah or the Prophets. I have come not to abolish but to complete. And what were those things that first needed to happen? 27 Then He took a cup, and after giving thanks, He gave it to them and said, “Drink from it, all of you. Just hours later, He was dead. But, just as He promised, after three days He rose again from the grave and appeared to His followers. Forty days after that, He returned to heaven from whence He had come. His mission had been accomplished, the Law had been perfectly completed, as the CJB (Complete Jewish Bible) puts it. That is the background of the entire Book of Hebrews. The author of the Book is well aware that Jesus died because "Jesus as High Priest and Perfect Sacrifice" was the point he was making to his audience: the Hebrews. People who would have been quite familiar with the yearly Passover and Day of Atonement rituals instituted and observed by Jews for more than a millennium and a half prior. The point might have been entirely lost on a 7th century Arab trader who proved quite ignorant of the Bible's teachings, but it was most certainly not lost on these Jews of the First and succeeding centuries. Sans a spotless sacrifice, there would have been no such purification for sins. Jesus' resurrection was proof that the Father had accepted the Sacrifice and Jesus' sitting at His right hand completes the picture of the Messiah's success at His mission. Hebrews 2:9 But we do see Jesus—made lower than the angels for a short time so that by God’s grace He might taste death for everyone—crowned with glory and honor because of His suffering in death. 12 He entered the most holy place once for all, not by the blood of goats and calves, but by His own blood, having obtained eternal redemption. 14 how much more will the blood of the Messiah, who through the eternal Spirit offered Himself without blemish to God, cleanse our consciences from dead works to serve the living God? for all who would come through Messiah. We have by no means exhausted Hebrews for our proofs, but the above should suffice to show that those who claim that Hebrews 5:7 says Yeshua did not die cannot do so honestly or with a shred of intellectual integrity. The Good News is that He Who died was not left in the grave to rot -- as is the fate of all mankind -- but was exactly as Hebrews 5:7 put it, "saved from death... heard because of His reverence."